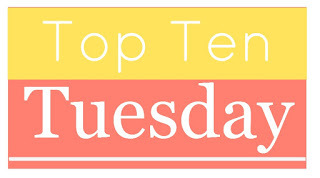 and this weeks theme is, Top Ten Quotes I Loved From Books I Read In The Past Year Or So. This is hard, I've read some good books this year . . . but here are some of my favorites! When I read that, that became my favorite line in the WHOLE entire book! I just love that part. The book that started my love for reading! I love that quote because it is true. And I was terrified to read the last book 'forever' because of this quote. 7- "Celeste walked up, as strong as I'd ever seen her, and whispered something into Maxon's ear. When she was done, he smiled. "I don't think that will be necessary." "Good." she left, closing the door behind her, and I stood to take whatever was coming. "What was that about?" I asked, nodding toward the door. "Oh, Celeste was making it clear that if I hurt you, she'd make me cry," he said with a smile. I laughed. "I've been on the receiving end of those nails, so be careful there." Those are some of my favorite quotes...I would add Gif's but I don't feel good.